Ms. Zainub Aftab joined Al Fatih Academy in 2009 as the School Secretary. She holds a master’s degree from Pakistan. 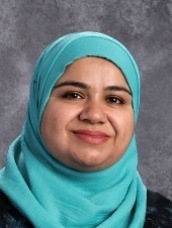 Ms. Aftab currently has two children enrolled in Al Fatih Academy. Ms. Zainub’s interests include photography, cooking, and spending time with her friends and family.